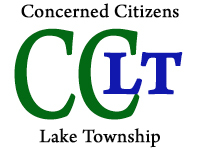 7/16/06 to Steve Johnson, US EPA | Concerned Citizens Lake Twp. 1. TOO SHORT COUNT TIME = SABOTAGING IEL SAMPLES? Please have a qualified, impartial radiochemist review the attached spectrograph from Nov./Dec. 2000 IEL PRP plutonium data, MW 011 showing 5 counts of Pu in the first 170 minutes. We were told by a government expert that HAD the counting not been stopped and had the lab been instructed to count at least the normal minimum 16 hours, (the IG expert had recommended days), a peak of pure plutonium would have developed. Given this piece of evidence showing up early on in the• four quarterly rounds, why weren’t the ]EL samples then analyzed with greater sensitivity – as routinely done as per NRC and DOE instructions? Wouldn’t this have corrected the so called “uncertainty” about the presence of plutonium cited by NAREL? 2. FAILURE TO PRESERVE WITH ACID IN THE FIELD – Apparently, we are to infer from the Cook response, that the EPA Inspector General report answered this question. Unfortunately, this is not really true. The report, page 3, Appendix C, # 4 stated, … “after the groundwater samples were collected, they were stored for short periods of time (unpreserved) that were acceptable according to EPA methods…” We do not believe this is correct. EPA, in fact, recommends that the samples be immediately preserved in the field. According to experts, there is good reason for this. Failure to preserve can allow plutonium to leave the solution and go to the walls of the jars before analysis, setting up conditions for most of the plutonium to be unaccounted for. This may occur in just a few hours. Can the failure to immediately preserve the samples in the field set up conditions that can allow the opportunity for loss of count? Please require him to check with both DOE and NRC to assure that his response is scientifically verifiable. 3. FILTERING – Is it not true that field filtering (as performed on all US EPA IEL samples in 1992, 93) and filtering ontop of Low Flow (as required to be performed on the IEL samples in 2000/01) are BOTH considered by the US scientific community to be methods that can seriously bias low the particle phase where plutonium would be expected to be found? Therefore, HOW can EPA be sure that the IEL is in “compliance” – IF the samples were not done correctly? 4. PU REPRODUCIBILITY ISSUE: In all previous responses to CCLT, your agency has continued to obfuscate concerning the key question we have put forth repeatedly regarding the claim of “reproducibility.” This is extremely serious, because it was used in the Justice Dept. report against the former landfill owner’s claim that the US government buried Plutonium 238 in large stainless steel containers at IEL in the late 1960’s/early 1970’s. The EPA argued that, although it had reported what experts called “valid hits” of plutonium at IEL in boreholes drilled into the site in fall of 1991 and Jan. of 1992, (indeed, the recounts were statistically identical to the original counts), EPA nontheless went on to say that because it couldn’t “reproduce” these findings in subsequent retests of the samples, they could not confirm the original results. Our question remains unresponded to scientifically, after all this time, because Region 5 persists in merely recycling an old 1992 “fact sheet” that does not answer the question. Please have an impartial qualified expert respond: Why does EPA insist that reproducibility is a valid argument ? Why would EPA expect the same samples to have been reproducible via retesting, if acid leaching used during the analysis should have made all the Pu come off the original particles in the sample? 5. FINISHED DRINKING WATER METHOD & NATIONAL POLICY IMPLICATIONS – In our initial letters to you last year, we requested that you investigate the misuse of the FINISHED DRINKING WATER EPA METHOD 900 used on raw unfinished dump water at a superfund site such as IEL. We’now believe that the SAB panel was used to rubber stamp this bad national policy using Uniontown IEL- by a panel whose members now apparently say were not even qualified to make that assertion. By all accounts, cleady the particle phase is not properly addressed in the Finished Drinking Water method, in part due to inherent built-in biases that can lead to seriously underestimated radiation results. Thus, we strongly suspect that man­made radionuclides from the Cold War languishing at sites may be masked or totally missed as a result. Therefore, we once again request that you address the Finished Drinking Water 900 method’s misuse on raw water testing in conjunction with the IEL case. We request a written response to all issues raised in this letter from the US EPA Administrator personally. Thank you.